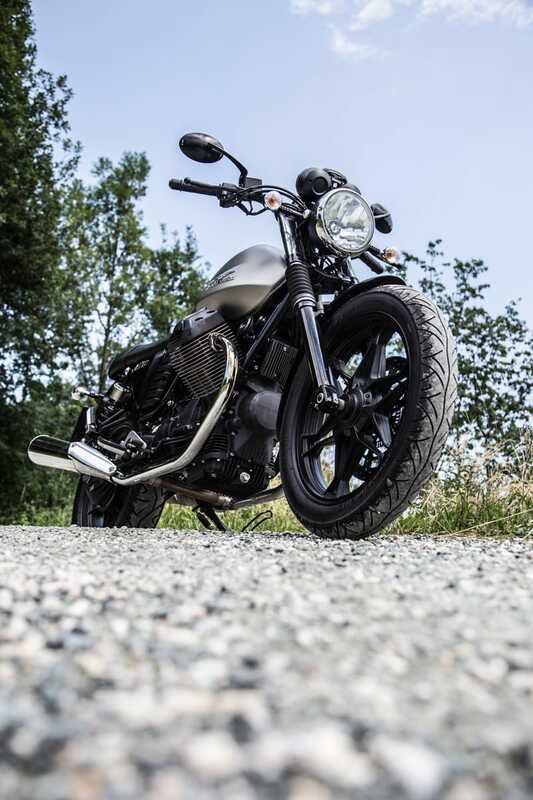 A café racer (/ˈkæf reɪsər/ kaf-ray-sər or less commonly /ˈkæfi ˌreɪsər/ ka-fi-ray-sər) is a light-weight, lightly-powered motorcycle optimized for speed and handling rather than comfort — and optimized for quick rides over short distances. 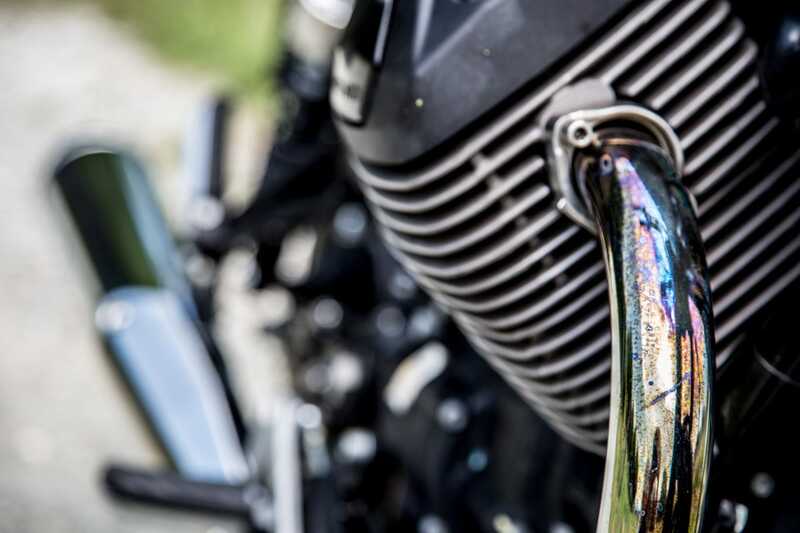 With bodywork and control layout recalling early 1960’s Grand Prix road racing motorcycles, café racers are noted for their low slung racing handlebars, prominent seat cowling and elongated fuel tanks, often with indentations to allow the rider’s knees to grip the tank. 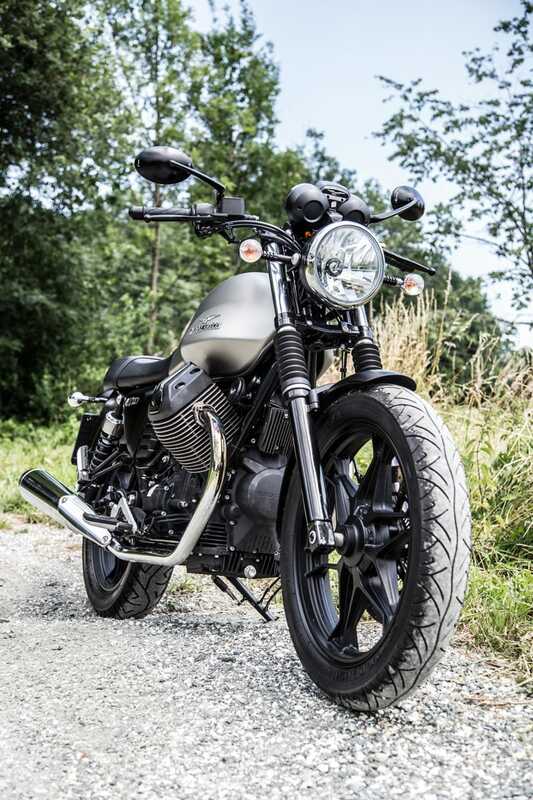 Grabbing this thought, the Italian motorcycle producer Moto Guzzi brought a revival of the famous 70s bike V7 in the year 2009 on the market. Its design is reduced to a minimum, only the essentials. 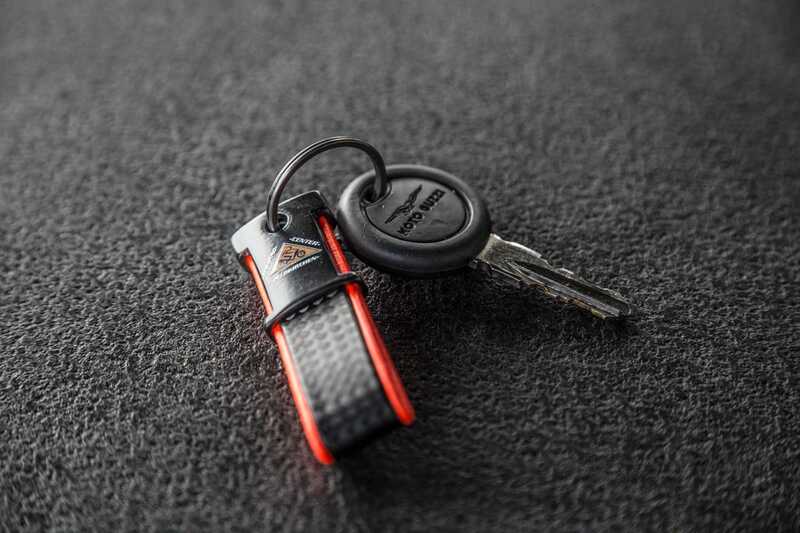 The Outcome: a great piece of engineering combined with a design that makes it one of a kind. 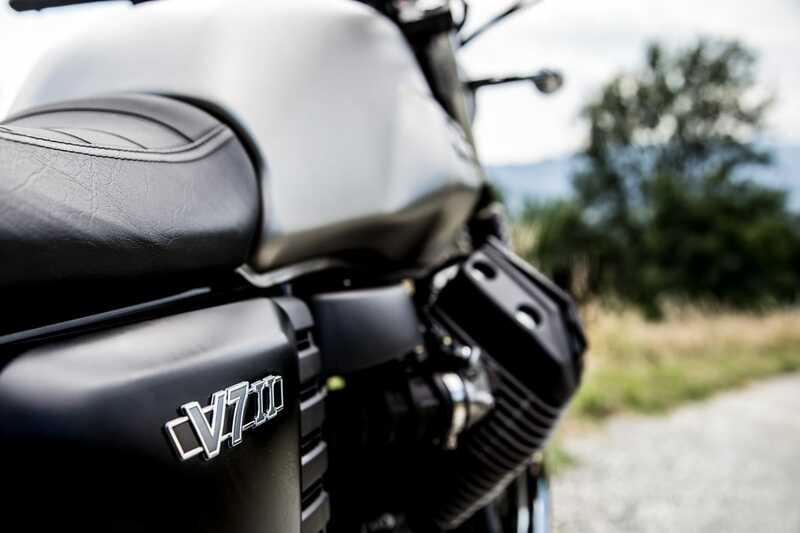 And that is not only our opinion – The new Guzzi V7 750 became the manufacturers bestseller. Reason enough to improve certain things only three years later. It got a revised engine and fuel-supplying-system. The result: Higher Efficiency and more agile response characteristics. 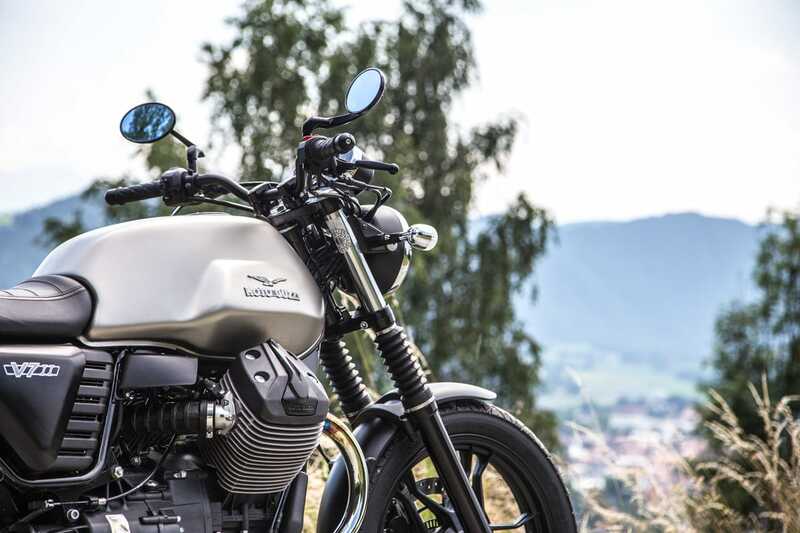 A perspicuous reason for us to take the Guzzi for a ride across the streets of Carinthia – up some Mountains to drink coffee at the lake and go to a miniature golf course. Conclusion: Predominantly positive. 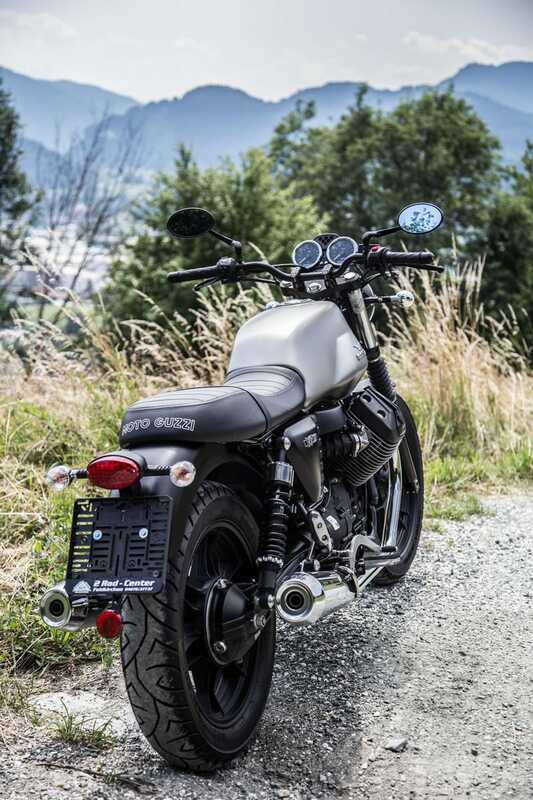 As a part of Moto Guzzi’s revision on the V7, a defeatable ABS and a traction control was added. 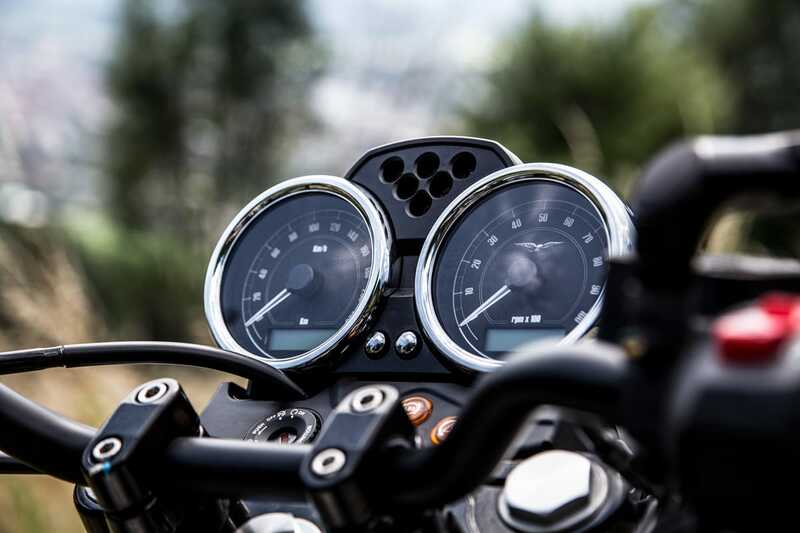 The first thing that came to our minds – is it really necessary to add a traction control to a bike that hardly ever looses traction with its “only” 48 hps. But: We were surprised. The boxer engine with its unexpectedly pilthy sound gets the needle of this 70s homage quite fast to the magic number of 60 mph. 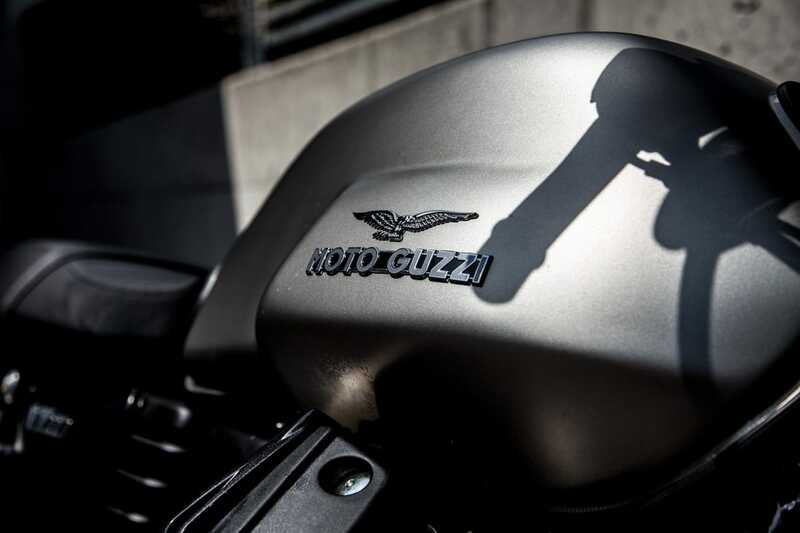 During our testdrive, it took the “little” Guzzi about 5.8 seconds to get from 0 – 60. This is truly not a supersports bike (No offense Moto Guzzi) but we hardly felt a need for more power or acceleration on this bike. For adequate slowing down, the Cafè Racer has 320 millimeter swimming discs in the front and 260s at the back. As expected, the ABS works efficiently and regulates in short intervals and is therefore hardly recognizable on the brake pedal and lever. What definitely surprised us, was the pilthy sound of that 750 ccm boxer engine. 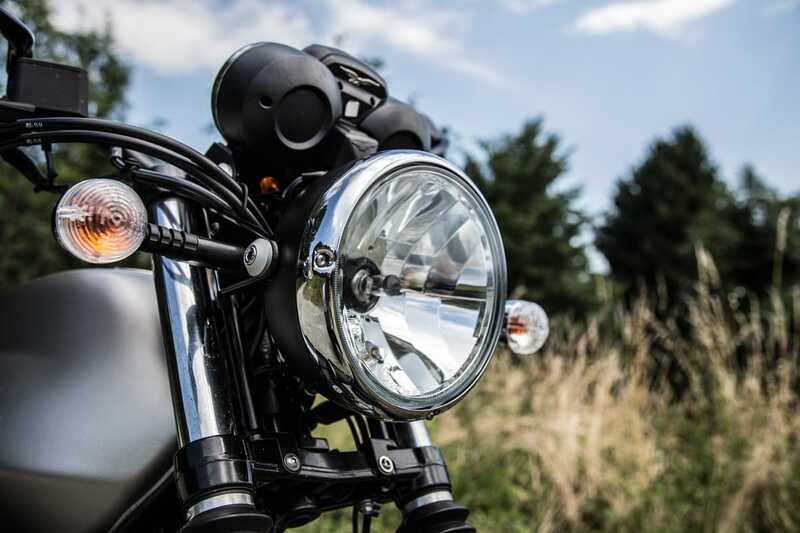 Even with the standard exhaust system, the 90° V-Twin creates a more than expected standard-boxer sound and encourages the driver to open up the throttle a bit more often than it might be necessary. The V7’s suspension is nicely aligned and even longer drives have no negative effects on your spine and bottom. 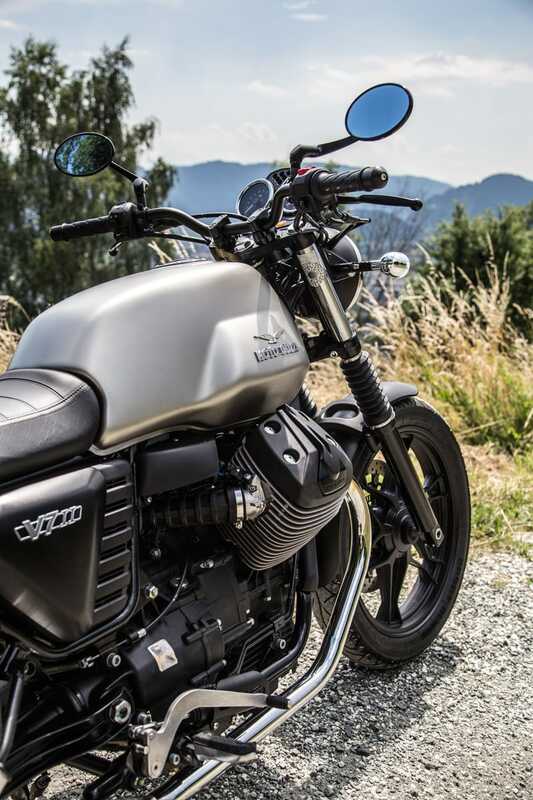 When it comes to riding curves, the Guzzi provides a very solid feeling and always gives you the feeling that there is even a little more lean angle possible. When driving through cities, the V7 feels definitely comfortable. 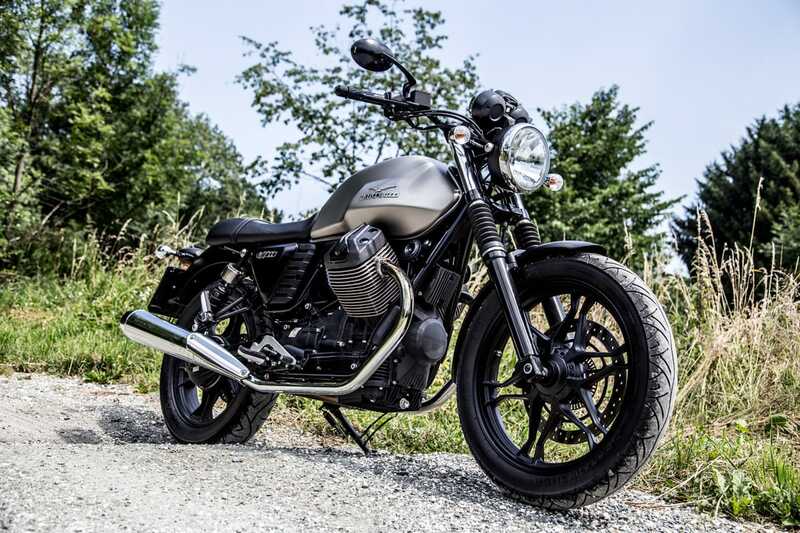 Smooth handling due to the weight of 189 kilograms and even higher outdoor temperatures don’t make the Moto Guzzi sweat (in our test it was 31° Celsius). Regarding our team, this makes the V7 II the optimal bike for people living in bigger cities who want to use it as an every day bike to get to work or even to make longer after-work-rides. When it comes to design, there is no compromise. 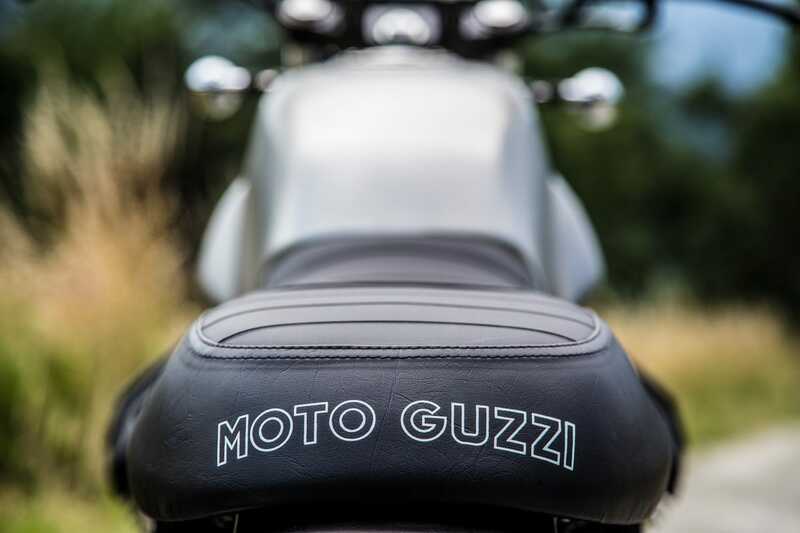 The Guzzi has exactly everything it needs. Nothing more. No unnecessities. Everything on this bike is where you would expect it to be. No surprises. 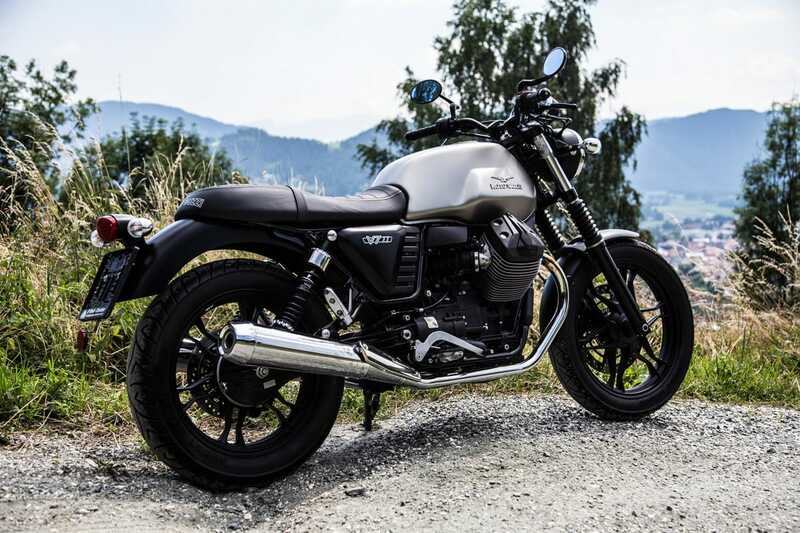 Since the Moto Guzzi V7 II Stone is a good option for beginners (due to Austrian laws) as well as a very nice bike for more experienced, more ambitious drivers, it represents a very well designed bike. It is easy to handle and comes with no attitudes. Sure, supersport-bike-riders may feel a bit bored by the technical specs of this bike but it is obviously not targeting these bikers. 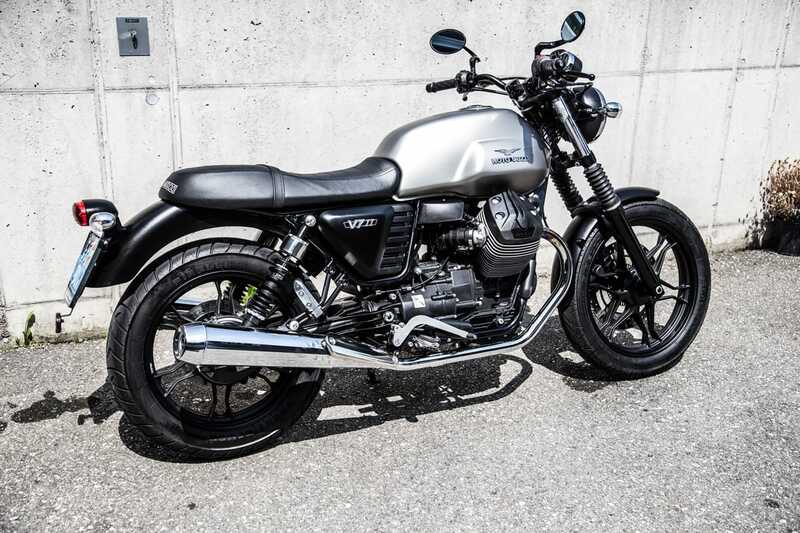 2radcenter Feldkirchen and Mario Mehsner for providing the this Moto Guzzi V7 II Stone.